Several of my girls who I had the privilege of serving through their junior high and high school years. It was my second year of college. I had been faithfully attending Victory Center for over a year. I was there every Sunday and Wednesday that I was in town. I took my Bible to church and took notes in service. I looked forward to church and left equipped and encouraged. You need to start sowing back into the soil where you are planted. I resolved to start serving as soon as Cross-Country season was over at the end of the month. Oh hey, I know the youth pastor and a couple volunteers over there. I’m only one year out of high school so I can probably relate to these kids. We’ll probably get to play games and be loud. I’ll start volunteering in youth. Boom. 11 years later I’m still there volunteering. And it has radically changed my life. Plants not only take nutrients from the soil, they actually give back different nutrients to the same soil. This is why modern farming practices have us rotate crops. One plant will leave behind an excess of a nutrient that causes the next to flourish. It is no longer just church, it is MY church. And since it is mine, I take better care of it. I’m more invested in projects and goals. I pick up the trash I see on the floor instead of expecting someone else to do it. Our lives are NEVER supposed to be just about us. We have been rescued from hell, and now we GET to go and tell others the good news and partner with Jesus in this extravagant display of His love. Jesus gave the mandate to “go and make disciples of all nations.” (Matt 28:29) What better way to speak into someone’s life than to serve them on a regular basis? You know those things that you are good at? It’s not just for your benefit. Those gifts need to be used to bless other people too! In turn, it’ll bless your own little socks off. Your Pastor simply cannot do everything that needs done and still have time to prepare a life-giving message. 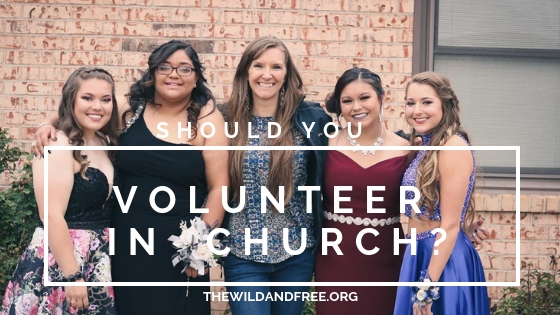 He or she NEEDS faithful and gifted volunteers, greeters, usher, musicians, sound booth peeps to make things work. Even in a relatively small church it’s hard to get to REALLY know people. We are all busy. But I can honestly say that I TRULY know 99%of the people that I serve with on a regular basis. Nothing will make you realize how much you need a heart check like throwing an internal fit because you have to take a kid to the nurse’s station at camp during your all-time favorite worship song. Selfish much, Faith? I knew I liked teenagers when I started volunteering in youth cuz we could be loud and crazy I could tell them to shut up and they wouldn’t cry. What I didn't know is how much I would grow to genuinely love “my girls”. I didn’t realize how much serving them would cause my own faith and leadership skills to grow. 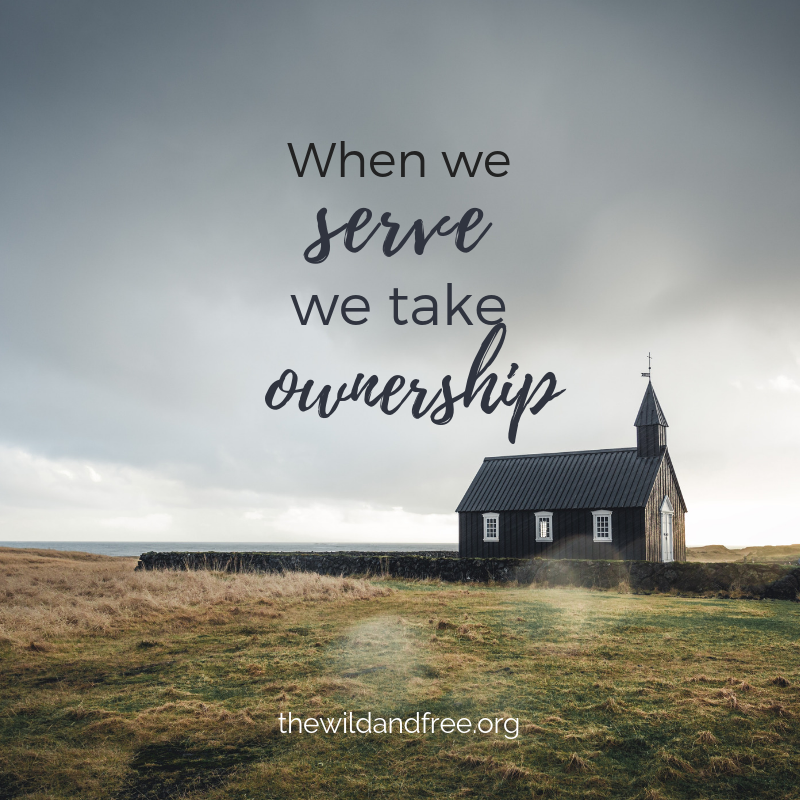 That’s the funny thing about serving others in the Kingdom of God: though its not about blessing you, you do seem to get blessed in the process too. I know, sometimes raising your hand and saying “hey, I want to help” can be a little intimidating for some. But it’s worth it! And don’t feel like you have to find your “forever fit” right away. Sometimes we figure out what we’re passionate about by trying lots of things that we don’t end up liking. That’s ok! Try not to jump from one department to the next without giving it time. My old boss had the rule that you need to stick with a job for 3 months to give it a fair shot. And if you leave a department, make sure to communicate clearly with your leader and give them ample time to replace you. You have a gift worth offering!